The newly designed, elegant PLUTON SPCE self-service showcase has a wide and comfortable reach. 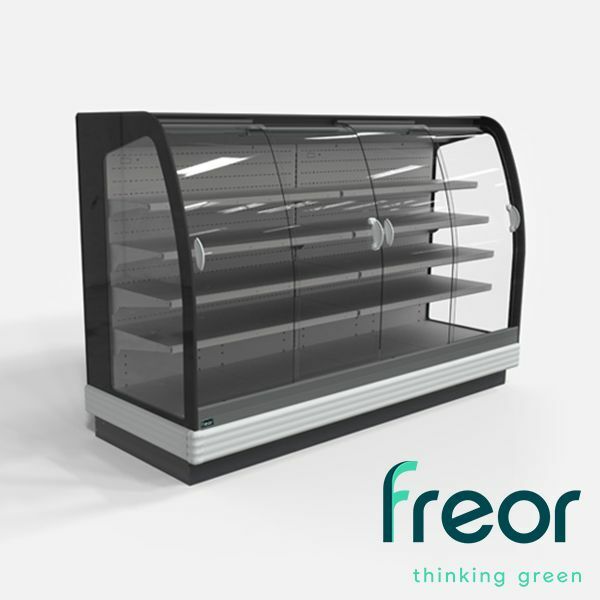 It provides an outstandingly clear view of the products thanks to its new design frameless bent glass doors, which also feature soft closure. Wider display shelves increase load volume by 15%. Perfect for the display of dairy products, drinks, deli products, fruits and vegetables. The cabinet is multiplexable, can be joined into rows or form a separate island. Available in 5 different basic lengths.